With its branches located in Johar Town and Faisal Town, Shaheen Shinwari Restaurant is the talk of the town. All things Pakhtun and Afghani, this is what defines Shaheen Shinwari Restaurant. So if Afghani food tickles your fancy, then what are you waiting for, this should be your regular eatery. It is an excellent representation of the Afghani culture shining through their cuisine and authentic dishes. Even if you are one of those who have never tried Afghani food in your life, now is the time. We all get tired of eating the same things every single day. Same old desi food, same old continental cuisines, same old Chinese food. Everything becomes so blah at some point. So why not try something out of the ordinary. Even better if we end up falling in love with this tantalising new cuisine, creating more food options for ourselves. And this is where Shaheen Shinwari comes in. Have an Afghani food-themed get together at your place and order from their exquisite menu. Every single item served on the Shaheen Shinwari Special Menu is truly unique and worth a try. Some of the items included are mutton sulemani karahi, shinwari namkeen chicken BBQ, Afghani kabli pulao mutton (and chicken), Afghani chicken boti BBQ, and much more. Their most popular dishes are the Afghani pulao and shinwari karahi. These dishes will give you a true sense of real Afghani cuisines as they are prepared with original recipes and procedures. The qandhari and roghani naan are also their specialties. The mutton and chicken karahi menus are also raved about. Mutton white karahi, mutton achar karahi, chicken karahi, chicken achar karahi, special butter chicken karahi are not to be missed because they are not like your regular karahis with the same amount of spices. You need to try them to understand what we mean. 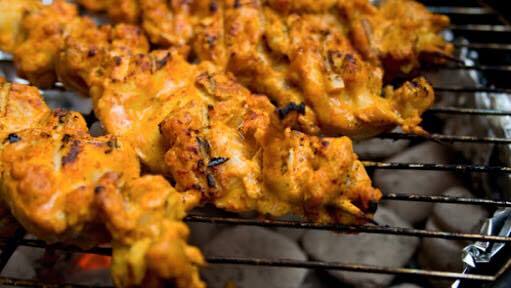 The barbeque menu also has a number of different options which include the mutton and chicken sajji served with Afghani rice, grilled finger fish tikka, behari chicken, barbeque charga, and so many other delightful options. All the dishes speak for themselves, so the price charged is fair. Needless to say, you will most definitely want to try everything available on their menu. So without wasting any more time, download the Cheetay app or visit our website to order some of the great Afghani cuisines. Your food will reach you in the blink of an eye.